Actress Zooey Deschanel and others are getting involved in food, but are they helping to move the good food movement forward? Zooey Deschanel and Jacob Pechenik can’t get their daughter to stop eating lettuce. It’s almost become a problem. “It’s gotten to the point where she insists on it. She’ll run outside and pick it,” Pechenik said, referring to the vertical gardens the family has outside their home. The Hollywood producer—and husband to actress Deschanel—hopes to bring similar set-ups to more people’s homes through Lettuce Grow. The vertical farming towers will officially hit the market this spring; they’re one part of The Farm Project, the celebrity couple’s new initiative to reconnect people with their food. 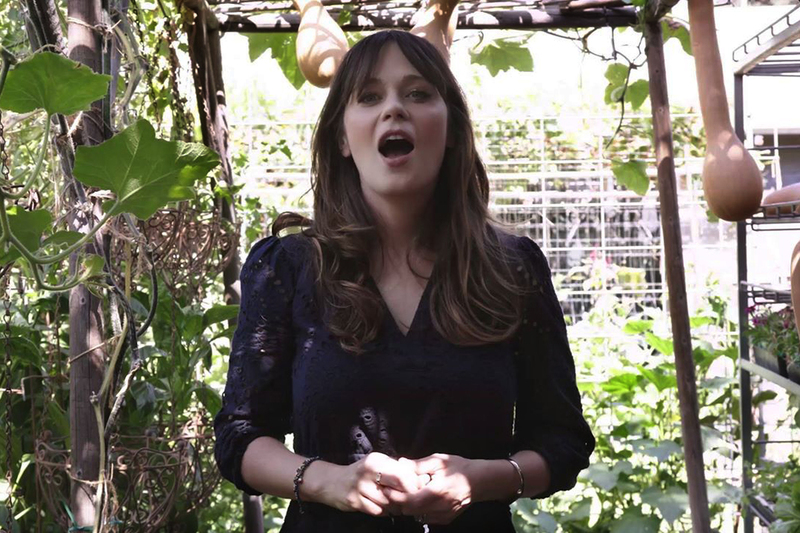 Deschanel and Pechenik are just the latest Hollywood celebrities to rally behind the food movement in the last decade. After actress Natalie Portman read Jonathan Safran Foer’s Eating Animals, she reportedly contacted Foer about turning it into a documentary. The resulting film, ”Eating Animals,” was narrated by Portman and debuted at Telluride Film Festival in Colorado in 2017. Sundance Selects, which picked up the rights to the film, is planning to release the documentary sometime in 2018. In the social media age, a celebrity’s support can offer a significant boost in an instant. After Hurricane Maria, Hamilton creator Lin-Manuel Miranda—who also recently donated $5,000 to close out a fundraiser for an app to alert farmworkers of dangerous temperatures—helped amplify New York food writer Alicia Kennedy’s fundraiser for Puerto Rico’s food service workers, helping get the event off the ground. Called Eat It, Maria, the event raised more than $10,000 last September for Serve PR, an organization that raises money to support and rebuild the service industry. “Without [Miranda], we wouldn’t have found a venue—or maybe we would have, but it never would have come together so quickly and easily,” said Kennedy. His sharing of the information also led The Brooklyn Kitchen to offer up space, free of charge. In some ways, celebrities and food issues are a natural combination. After all, part of any Hollywood actor’s job is to look good, and eating healthy food obviously plays a role in that. And some celebrities see getting involved in the social, political, and environmental aspects of food as a natural next step. In addition to investing in products such as Lettuce Grow, Deschanel and Pechenik are investing in food organizations including an urban farm in Austin. They also started an online video series on Facebook called Your Food’s Roots. 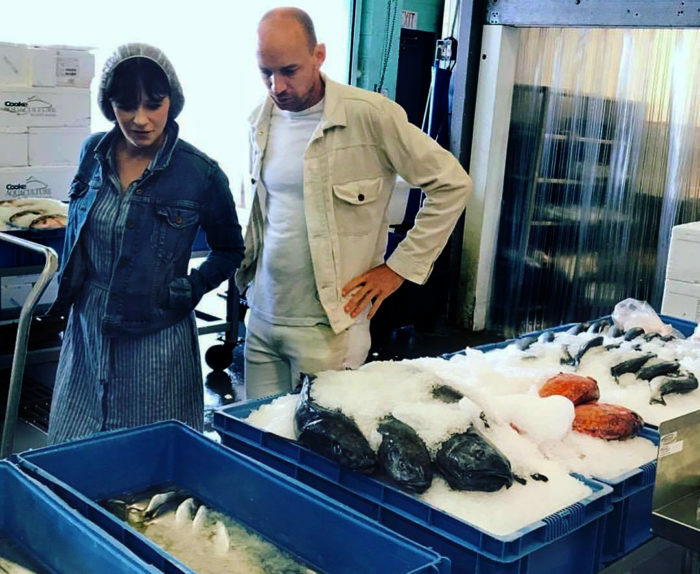 The five-episode series covers a range of challenges within the food system, including overfishing, food miles, and pesticide use, and are designed to educate and empower people to engage more deeply with their food. The star of the sitcom “The New Girl,” Deschanel has a sizable, built-in audience of Millennials—a group whose buying power has already played a significant role in reshaping the food system. 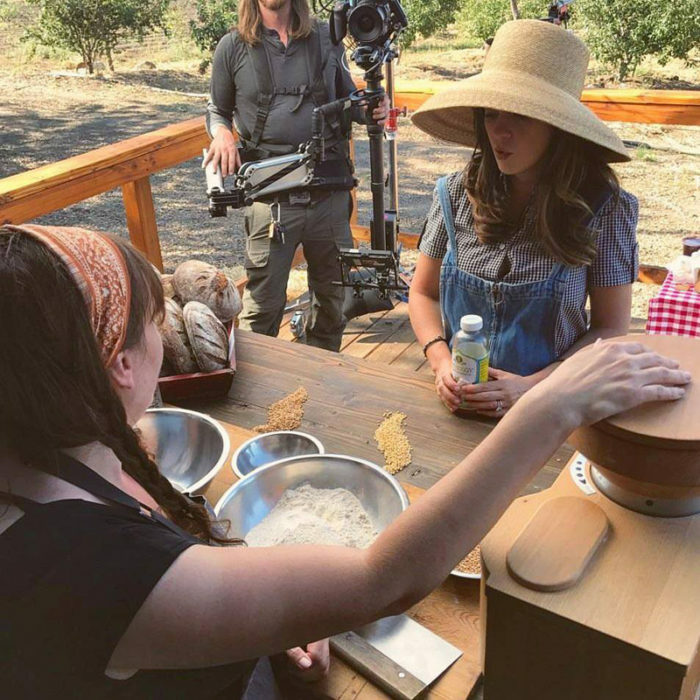 And while the five episodes of “Your Food’s Roots” have nearly 17 million views on Facebook, the couple has also faced some criticism over the scientific accuracy of the videos. And yet, inaccuracy can be a slippery slope. “Raising awareness” without a solid grasp of the facts can often open people up to harsh criticism, especially from those with competing agendas. And with issues of elitism still hamstringing the food movement, celebrities who can afford to spend the money and time to achieve good-food nirvana may have to work harder to ensure that their message will be taken seriously by the mainstream public. Photos courtesy of The Farm Project.